Barça started the game excellently and Granadilla were defending very deep. 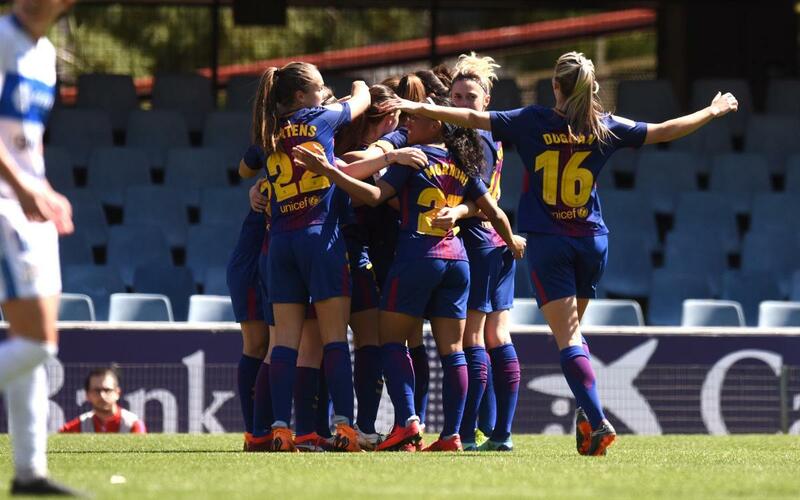 After two opportunities from Marta Torrejón and Vicky Losada the goal arrived. In the 16th minute, Patri Guijarro beat Pili with a strong shot from 30 metres. Fran Sánchez’s players didn’t take their foot of the pedal and they scored the second on 25 minutes. Bussaglia took a corner and Pili put the ball in the back of her own net. Simpson pulled one back within a minute for the side from Tenerife. Neither side dominated as the game hang in the balance until Patri scored her second two minutes from the break to make it 3-1. In the second half, Barça were in control and as they looked to put the game to bed. The blaugranes had plenty of chances through Duggan, Martens and Vicky Losada, but they weren’t able to add to the three goals. Despite this, it was a very impressive performance from the blaugranes as they continue to push for the league title.